What is Junior Development League Football? Junior Development League Football is an alternative youth football program created to introduce and promote the game of tackle football to young players of various age, weight and ability levels in a manner that assures a safe and enjoyable experience for all participants. All players enjoy abundant and meaningful playing time while learning to play multiple football positions. JDL Football is intended to promote physical fitness through healthy competition. Players compete against each other in equitable and competitively balanced situations. As a result, all participants in JDL football derive significant benefit from the experience by developing new skills, gaining increased confidence, self-respect and self-worth, all while learning valuable life lessons including sportsmanship, teamwork, commitment, acceptance of discipline and the respect of others. To accomplish these worthwhile objectives, JDL Football Inc., under licensing agreements with local community organizations, provides the tools, the resources and the expertise to organize and operate a successful JDL Football program. The JDL Football concept was conceived more than ten years ago by JDL Football Inc president and long time volunteer youth sports coach Jerry Norton as a “player-friendly” alternative to the traditional and highly competitive youth football programs typically available to youngsters. Norton’s philosophy--that fun and full participation are essential elements for any quality youth sports program—is spreading rapidly as more and more families support his belief that young athletes should participate, not sit on the sidelines watching others play. In the past few years, JDL Football has grown to included more than 22 divisions in northeast Florida alone and JDL Football leagues are springing up nationally as word of the program’s unique priorities and advantages spreads. Given the opportunity to have fun, develop skills at multiple positions and experience the entire game, young football players and their families are opting for JDL Football over travel football programs in increasing numbers. JDL Football members, as affiliates of USA Football, have access to USA Football resources at discounted rates. © 2010 Junior Development League Football Inc.All Rights Reserved. 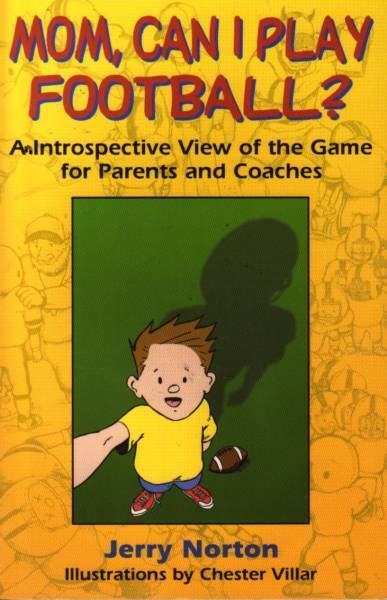 Visit coach Jerry Norton's website to learn more about his philosophy on Youth Sports and to order one of his books: Mom Can I Play Football or Unintended Consequences?